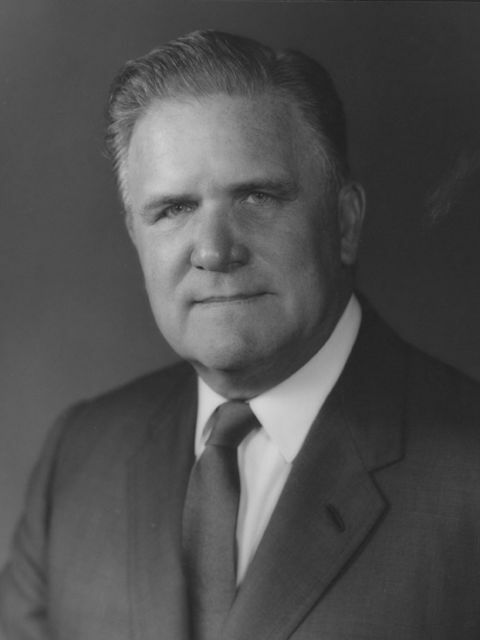 Oklahoma Connection | Webb came to Oklahoma City, Oklaho as assistant to Robert S. Kerr, the president of Kerr-McGee, in 1952. After U.S. President John F. Kennedy appointed James Webb as administrator of NASA in 1961, America saw its first manned space flight, first orbital flight by John Glenn, first walk in space by Edward White, and Neil Armstrong’s first steps on the moon. James Edwin Webb, a native North Carolinian and adopted Oklahoman, headed the National Aeronautics and Space Administrations during seven and a half years of its greatest and most significant growth, culminating in the 1969 moon landing. He was a former director of Kerr-McGee Industries and became the protégé of Senator Bob Kerr, chairman of the Senate Space Committee, whose influence led to Webb’s appointment at NASA. Mr. Webb also served as president and board chairman of Republic Supply Company, as a director of McDonnell Aircraft, McGraw-Hill, Garrett Company and Fidelity National Bank, and as president of the Frontiers of Science Foundation. He was a recipient of numerous awards, including the Medal of Freedom, the NASA Distinguished Service Award, and the Langley Gold Medal of the Smithsonian Institute. In retirement Webb served as emeritus trustee for the National Geographic Society. He graduated from the University of North Carolina and studied at George Washington University.